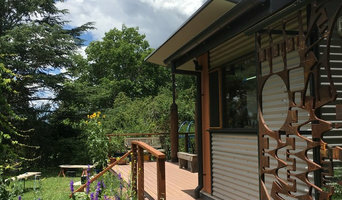 Mahalath Halperin Architects in Armidale has been providing a sustainable and holistic approach to architectural services since 1991. Our award-winning ESD consultants and architects are committed to delivering high quality service for both architectural and environmental work. We are not your typical architectural firm as we incorporate a strong environmental focus in each of our service. We specialise in sustainable architectural services and holistic environmental lifestyle planning. When you call on us, you will receive an energy assessment for your building or business premises using accredited energy ratings software for accurate results. As ABSA and NABERS accredited assessors, we offer passive solar, energy efficiency and ecologically sustainable development, ensuring optimum outcomes. Green concierge services are available, and we handle all aspects of architectural design, documentation, project management and contract administration. With our commitment to providing economical solutions to architectural projects, you can expect nothing less than the best from our Armidale architects. Give us a call today. Magoffin and Deakin Architects is an award winning practice servicing the the New England and Northern N.S.W. area since its establishment in Armidale in 1965. We have extensive experience in collaborative, cross-disciplinary architectural, urban design and heritage projects, and have developed long-term associations with specialist consultants across a wide range of associated fields. I was a reluctant student on site with my Dad when I was a young kid, but grew to love the building trade and helping people realise their dream homes through design. A Bachelor of Applied Science (Architecture), a Diploma of Building Design, a qualified carpenter, and 25 years of building experience mean you get a qualified, experienced and understanding professional for your building journey when you choose Glenn Hinds DESIGN. The New England & North West is an amazing place to live. At Glenn Hinds Design, we design unique homes that are energy efficient, sustainable and most importantly, comfortable to live in! If you're considering building or renovating a commercial or residential space in the New England & North West get in touch with us to discuss your needs. 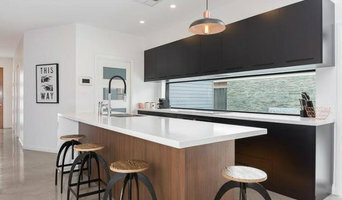 A member of the Building Designers Association of Australia, Glenn Hinds DESIGN is based in Armidale, we service all of the New England and North West. ANE Building Design strives to achieve best building design practice through the combination of intelligent interpretation of the Client’s needs, the application of energy efficient design principles and sustainable building systems to form intuitive designs, which, when combined with quality drafting and documentation, results in a building that meets the Client’s cost and time budgets. How do I find the best Inverell architect for my home design project? It is best to hire a home architect who will be involved in all phases of the design process, from the initial concept to the completed construction. The architect is often the first person you will hire for your project. If necessary, they might also help you select and hire New South Wales subcontractors, which can include the builders, engineers and landscaper. Interior architects are also involved in negotiating contracts for all involved participants. It is for these reasons that it is extremely important for you to have a good relationship with the Inverell residential architect you hire. He or she can be the tie-breaking vote between you and the general contractor and can be your biggest advocate during the construction process. Different architecture firms in Inverell, NSW, AU provide different services, so the scope of the work can span from pre-design environmental impact studies to selecting furniture and finishes, depending on what your specific needs are. It is very important to hire the right professional for the job. Remember that the most well-known or established designer might not provide the best architectural services for your needs. It all comes down to the individual project. Research and ask people whose work you like for recommendations. It's important to have somewhat of an idea of the style of house architecture that you prefer, as well as the amount you would like to spend. 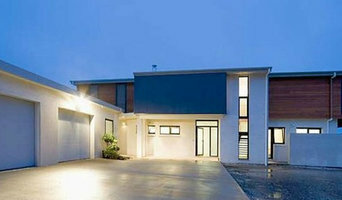 Residential architects in Inverell, NSW, AU are natural problem solvers. They will assess the entire situation and help you to solve your problems too. Don't settle for a single company too early. Call and interview a few. Make sure that you feel like your personalities will mesh well and that you like their professional perspective. 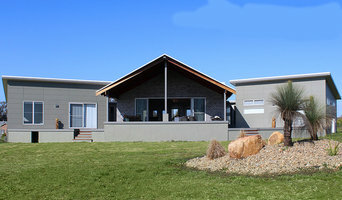 Find a home architect in Inverell, NSW, AU on Houzz. 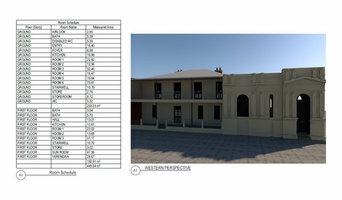 Narrow your search in the Professionals section of the website to Inverell architects. You may also look through photos of New South Wales projects to find interior architects and building designers who have worked on a project similar to yours.